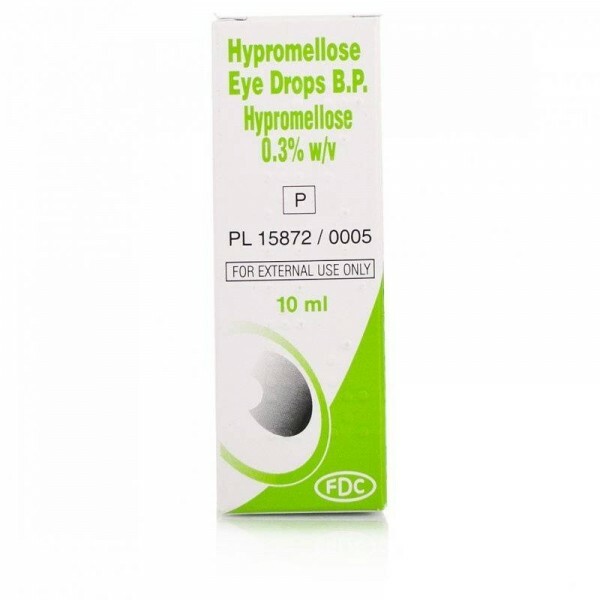 Hypromellose 0.3% Eye Drops - For Dry Eyes are also known as 'artificial tears'and are used in the eye to relieve dryness and irritation caused by a reduced flow of tears. 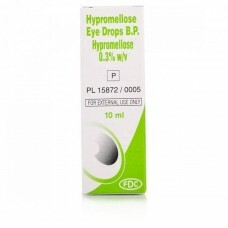 Hypromellose 0.3% Eye Drops - For Dry Eyes are also known as 'artificial tears'. They are used in the eye to relieve dryness and irritation caused by a reduced flow of tears. In certain circumstances they can reduce damage to the eye. Hypromellose can also be used as a lubricant for artificial eyes and to moisten hard contact lenses. Hypromellose provides immediate relief of dry eye conditions (including dry eye conditions associated with the use of VDUs and TVs, infrequent blinking, certain medical treatments, atmospheric pollution and drying atmospheres e. g. air- conditioning, central heating, wind and sun. As we source products from different suppliers, the product you receive may vary from the image provided. Hypromellose 0.3% Eye Drops - For Dry Eyes - Put the drop into the pocket formed by gently pulling down the eyelid and close the eye for 1-2 minutes. After a few days most people only need to use the drops about 4 times a day, if you need to use the drops more than 6 times a day return to your GP. Hypromellose (4500) 0.3% w/v, boraz, benzalkonium chloride 0.01% w/v, boric acid, sodium chloride and purified water. May contain hydrochloric acid or sodium hydroxide.